When tourists in Northern Ireland venture outside of Belfast, they often end up traveling along the Causeway Coast in County Antrim. 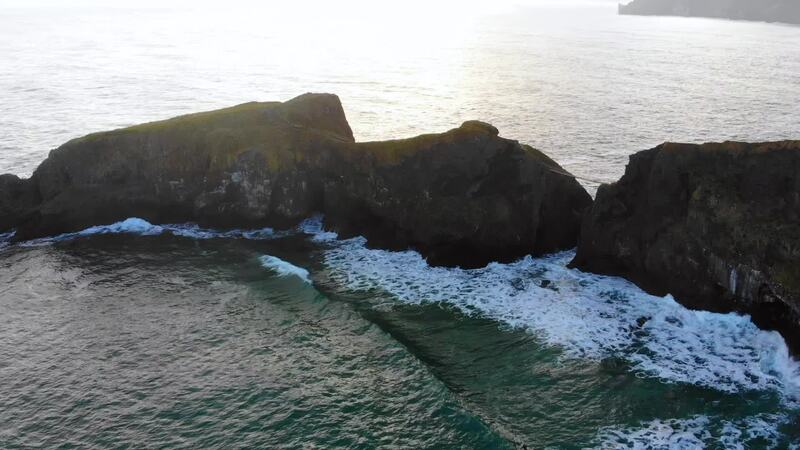 Along the way, they’ll find attractions such as the Rope Bridge and the Giant’s Causeway, as well as a few of the filming locations for the HBO series Game of Thrones such as Dunluce Castle (Harrenhal), Ballintoy (the port of Pyke), the Cushendun Caves, (Stormlands), Downhill Strand (Dragonstone), and the Dark Hedges (King’s Road). Several of these landmarks are shown in this video.